Laptops are available in a plethora of brands and models. 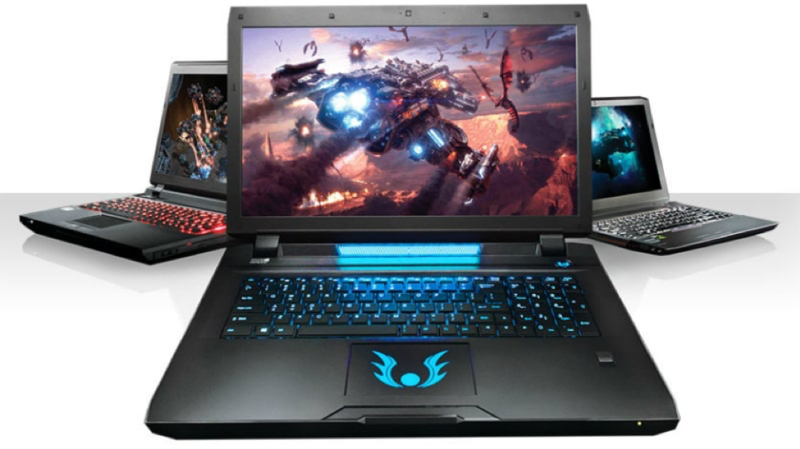 When you are in the market shopping for a gaming laptop, you don’t just want any ordinary laptop you can fire up and use in accessing the internet to play some basic games. Gone are the days when online video games were mere entertainment activities for passing the time. The ASUS FX503VD – DM080T boasts of the right specs needed to keep up with most of the high-end video games. In this ultra-techy world, it is considered among the mid-range level gaming computers and for average users, it will offer a very satisfying experience. The resolution of the ASUS FX503VD – DM080T is very clear, and it comes with an anti-glare feature to protect your eyes following the long hours they will be glued to the screen. The keyboard has a backlight for those who like to enjoy their games in the dark, and it comes with a 3-year warranty for the panel and case and one-year warranty for parts and accessories. The other feature you will find admirable about this gaming laptop is its easy and single access panel for the RAM, HDD, and SSD. It also comes with a black shadow theme that makes it look gorgeous, and as expected, the keyboard is backlit. The MSI GP62 Jaguar is almost in the same level with the above HP gaming laptop regarding specs. It will give a very good performance for games that demand high quality, as it also comes fitted with the powerful Intel Core i7 processor and a graphical processing unit by INVIDIA 1050. With it, you are guaranteed to have fabulous gaming experience, and if you are a newbie, you will realize a dramatic improvement in your performance as you use this laptop. Another high-end gaming laptop featuring on our list of the best gaming laptops is the Acer Predator Helios 300. It has the same as the MSI and the HP gaming laptops mentioned above, but it is slightly different from them due to its compact size and the sleek design. Another unique feature you will notice in it is that it is fitted with an all-metal AeroBlade 3D fan built explicitly for it. Most of the gaming computers have Intel processors and NVIDIA GPU, but there are also others fitted with different technologies and are performing just better. A good example is the Acer Nitro 5 15.6-Inch Notebook which runs on the AMD and Radeon and is still able to offer a fine gaming experience. The Radeon and AMD are relatively cheaper, but this is not to imply that they are of poor quality. A closer look at Acer Nitro 5 15.6-Inch Notebook that it scores impressively on its RAM, given that it is GDDR5. There are other high-quality gaming laptops, but the five mentioned above are the highly recommended ones for 2018. However, your ultimate choice will depend on your build as well as how much money you will be willing to spend on upgrades. The processor – the processor is like the brain of the laptop, and it is what is used to measure the intelligence of the laptop. For good performance, you should always opt for an Intel or AMD processor for your gaming laptop. The Graphics Card – also known as the video cards, the graphics cards work in tandem with the processor. It is like a bridge between the monitor and the processor. A good video card will give you good images and the best choices to consider are NVIDIA or AMD graphic cards. The RAM – For a good gaming laptop, you need a RAM of 12GB and above. Some of the games are heavy, and with a low RAM, you could experience game lags all the time, thus denying you the joy to enjoy a smooth game. The Drive – for gaming computers, you should go for solid state drives instead of the hard disc drives. The Screen Resolution – as usual, for a better gaming experience, you need to have a bigger screen for high resolution. Mostly, resolution of 1080p would be okay.